I offer many different services. 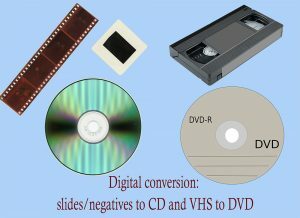 My digitizing services include copying non-copyrighted VHS tapes to DVD; scanning photos, negatives, and slides. Please email me at margie@faithproductionsofcumberland.com for more information.